Brass tealight miniature urn with awareness ribbon and pewter accents. Violet satin finish. 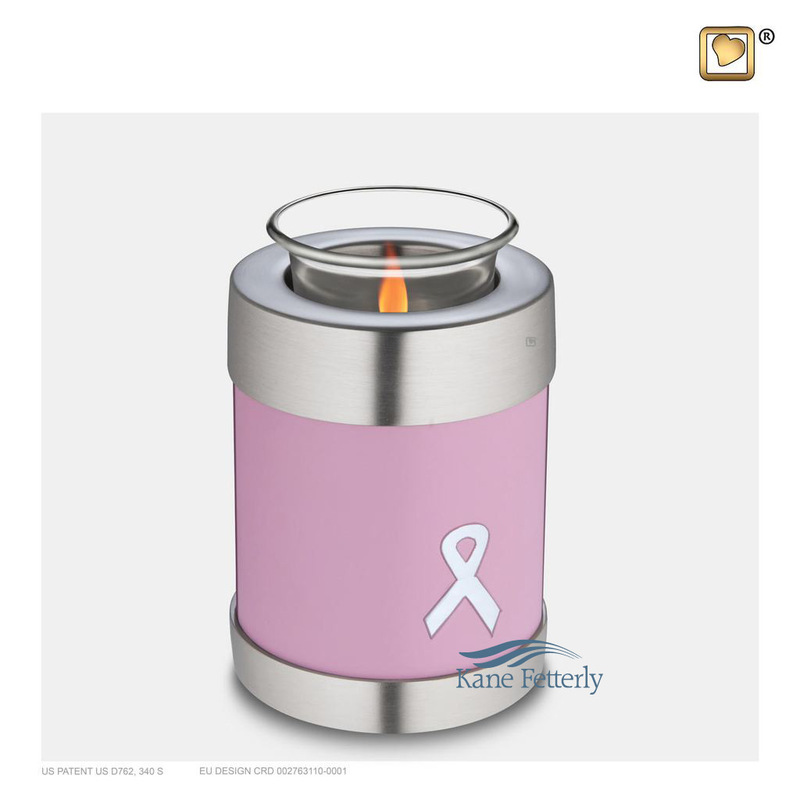 The tealight features a small compartment designed to hold ashes. Available also as a full-size urn and miniature urn.